EasyVista Reports Strong Growth Momentum and Expands Leadership Team in the U.S.
New York, NY – April 3, 2018 — EasyVista, Inc., a leading provider of IT service management for enterprise organizations, reports worldwide financial results of 25% revenue growth in 2017 that included 64% growth in the fourth quarter over the same period in 2016. The company’s strong performance in Europe and the U.S., was attributed to marketing and technology investments that positioned EasyVista’s ITSM platform as a favorable alternative for enterprise organizations looking for a new IT service management solution. Al Crews has been appointed to Vice President of Sales for North America. He comes to EasyVista with more than 20 years of enterprise software sales leadership experience, spending the last five years at ServiceNow, where he built and developed a region by adding over 150 ITSM customers. He has demonstrated the ability to consistently generate breakout performance by delivering among the largest deals ever in four different companies. Prior to ServiceNow, Al held VP roles at both the Americas and Global level for Avocent Corp, where he achieved revenue targets of up to $300M. His earlier career included a series of progressive sales leadership roles at Veritas, Symantec, Oracle and Sun Microsystems. 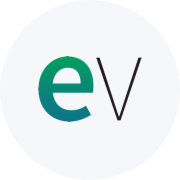 At EasyVista, Al will lead and drive the sales strategy and execution for North America. Mark Shell joins the team as Vice President of Customer Experience for North America with over 20 years of ITIL experience, developing and leading high performing global teams to deliver exceptional customer success with IT service management. Prior to joining EasyVista, Mark developed and managed service and support organizations at several high-tech companies in the U.S., Canada, Asia Pacific, and Europe that included spending the last six years at Cherwell Software. Mark will lead services, support and customer success across North America to ensure EasyVista continues to exceed customer expectations and achieve revenue goals through account expansion. Bryon Thomas joined the team as Vice President of Global Demand Marketing with over 20 years of experience in technology sales and marketing. Prior to joining EasyVista, Bryon spent three years with SoftNAS, Inc., a provider of SaaS storage products for the public cloud. Prior to SoftNAS, he spent 12 years with Citrix in various executive roles, most recently leading the Worldwide Servi­­ces Marketing team that was responsible for $1.1B in revenue and included product marketing, public relations, analyst relations, events marketing and demand generation. Bryon will continue to drive alignment of global sales and marketing initiatives to achieve revenue goals and expand brand awareness of EasyVista product offerings.